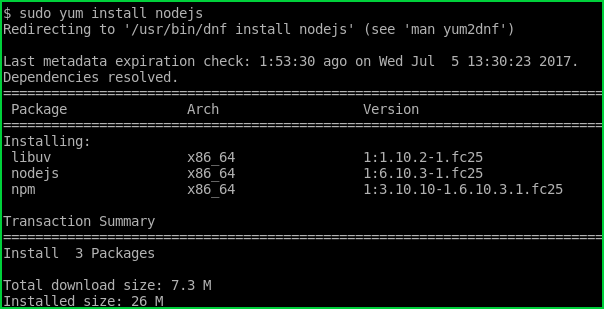 We can use yum package manager in order to install Nodejs. We will run following command in order to install for Fedora, CentOS, RedHat . 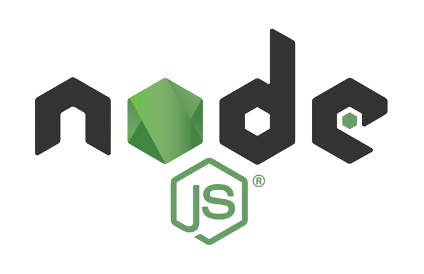 We can use apt or apt-get package manager in order to install Nodejs. This will work Ubuntu and Debian based distributions too. If we need up to date binaries about Nodejs we can download from official site. There is two version to download Nodejs. Lower version is recommended for most of the users which is currently 6.11.0 LTS . LTS means long term support which means this version will be supported for the long time and will not create compatibility problems. 8.1.3 version will be change during time. This version will have the latest features but it is not stable for production use. Simply download from following link. and then extract downloaded file with the xz command like below. In order to access node binary from shell we need to add the bin folder of the extracted folder to the PATH variable like below. We can test the Nodejs just typing following command.